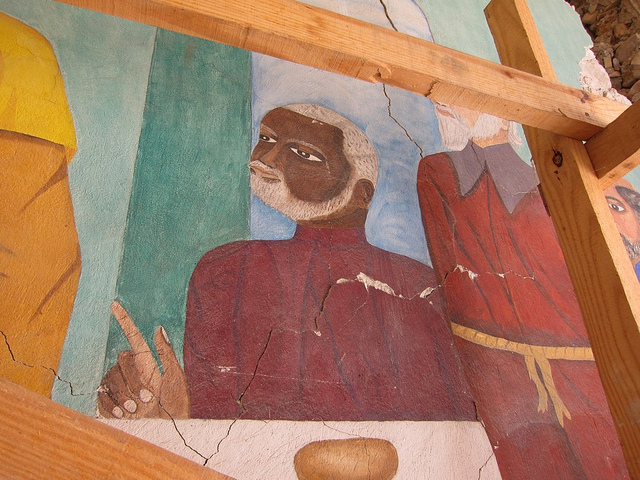 Saving Haiti’s culture, rescuing murals at one church in Port-Au-Prince. The Royal Courts of Justice on the Strand “suffer” an art theft. Lee Rosenbaum describes the commemorative ceremony for the “Portrait of Wally” settlement. The book thief who stole a Shakespeare First Folio from Durham University has been sentenced to eight years in prison. Funding cuts for Italian archaeology on the way. Tom Flynn rightly points out that scrap metal dealers can be complicit in the theft of sculptures. Campbell’s Soup appreciated a little appropriation. Candido Portinari’s “The Burial”, stolen in July, has been recovered in Brazil. More praise for the “Gross Clinic” resotration. The Portable Antiquities Scheme has archived the 400,000th object in its database. I clicked on the Campbell’s soup post link and my Web Of Trust guardian identified the site as having a poor reputation; it may be one you wish to avoid.